Geoarchaeology is the study of landscapes and environments in the past. Geoarchaeologists investigate the types of soil and rocks that are found and how and when they got there. 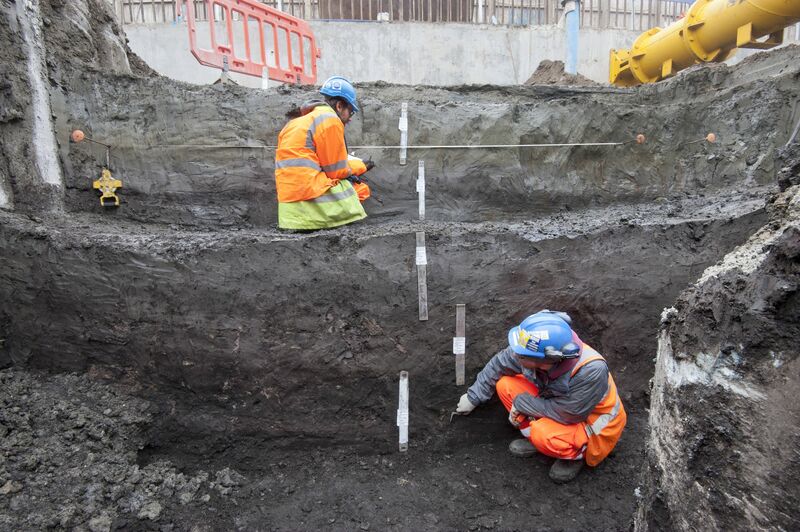 Before tunnelling began, over 1,000 samples were taken by Crossrail surveyors and geoarchaeologists to find out what the earth and geology was like. It enabled the engineers to decide where and how to tunnel and the archaeologists where to dig. But it also supplied important information about how the land was formed and changed in the past.